﻿ Feliz Town, Jeju Island - SAVE ON AGODA! "Second time we come to Feliz Town and we are still enjoying..."
Have a question for Feliz Town? "We recommend this place a lot, we were really happy." 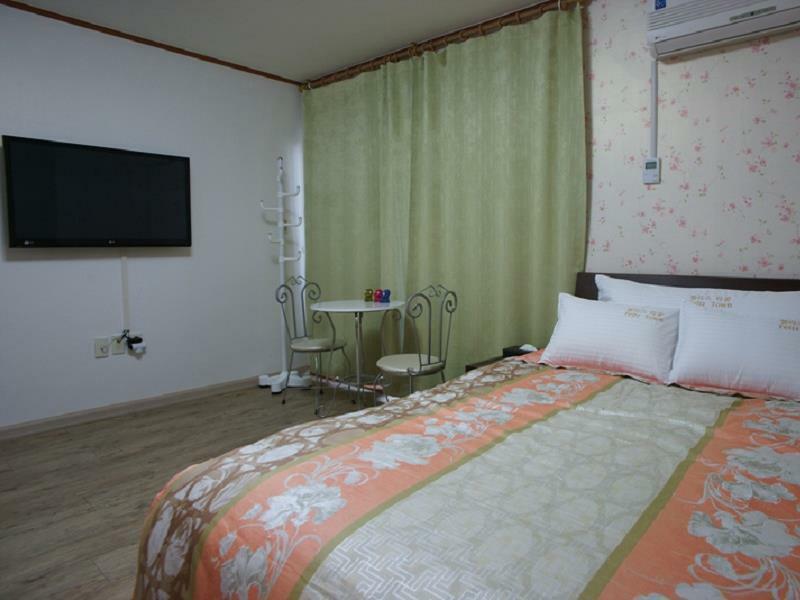 "It's near to the Seongsan Ilchulbong and the owner is very helpful." "On the way to the hotel, there are beautiful scenery along the road." "The room is very big and clean." Well-positioned in Seongsan, Feliz Town is the ideal point of departure for your excursions in Jeju Island. From here, guests can enjoy easy access to all that the lively city has to offer. 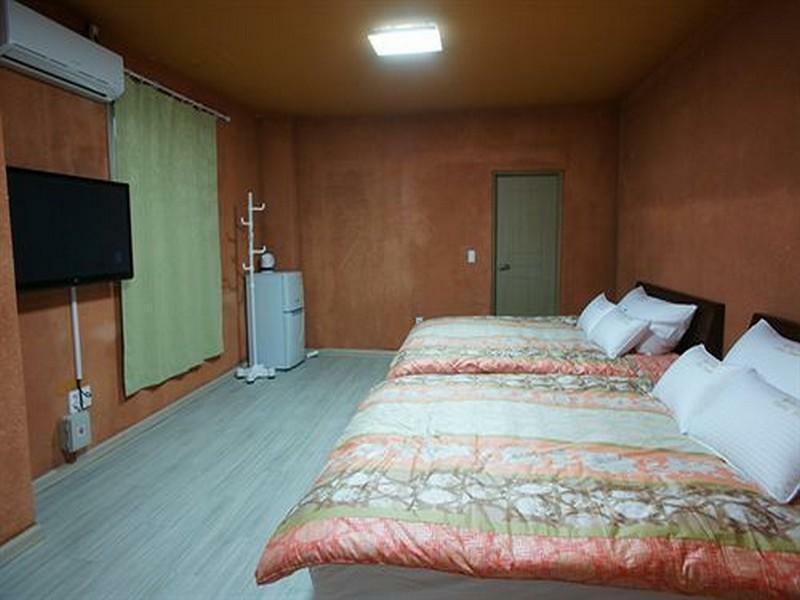 Visitors to the hotel can take pleasure in touring the city's top attractions: Dongamsa Temple, Seongsan Ilchulbong Peak, All In House Theme Park. 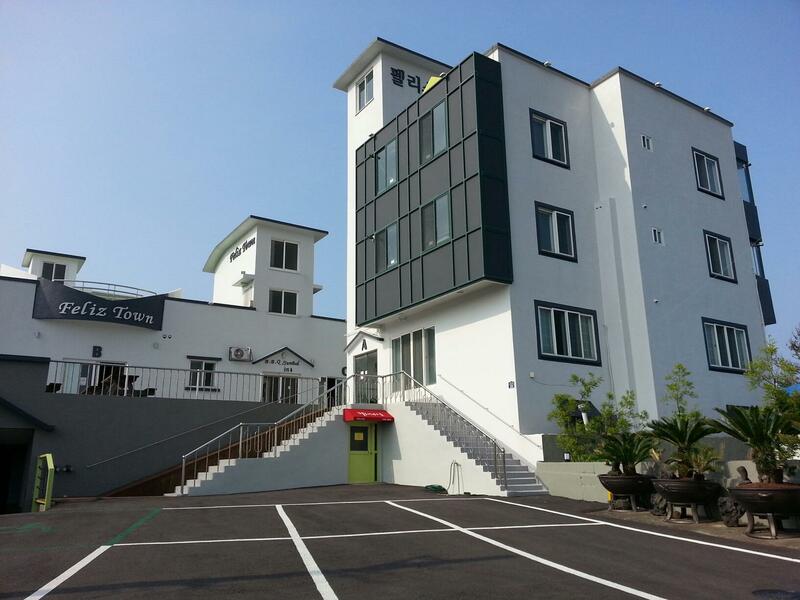 Feliz Town also offers many facilities to enrich your stay in Jeju Island. A selection of top-class facilities such as free Wi-Fi in all rooms, luggage storage, car park, BBQ facilities, concierge can be enjoyed at the hotel. Feliz Town is home to 20 bedrooms. All are tastefully furnished and many even provide such comforts as television LCD/plasma screen, clothes rack, complimentary instant coffee, complimentary tea, towels. Besides, the hotel's host of recreational offerings ensures you have plenty to do during your stay. Whatever your reason for visiting Jeju Island, the Feliz Town is the perfect venue for an exhilarating and exciting break away. "The hotel room is big and tidy." Second time we come to Feliz Town and we are still enjoying this place. The appartment is very clean, confortable and quiet. It is located very close the Seongsan (best place to see the sun rising). Hosts were welcoming and helped us a lot when we had some issues last year. For sure, we will come back. 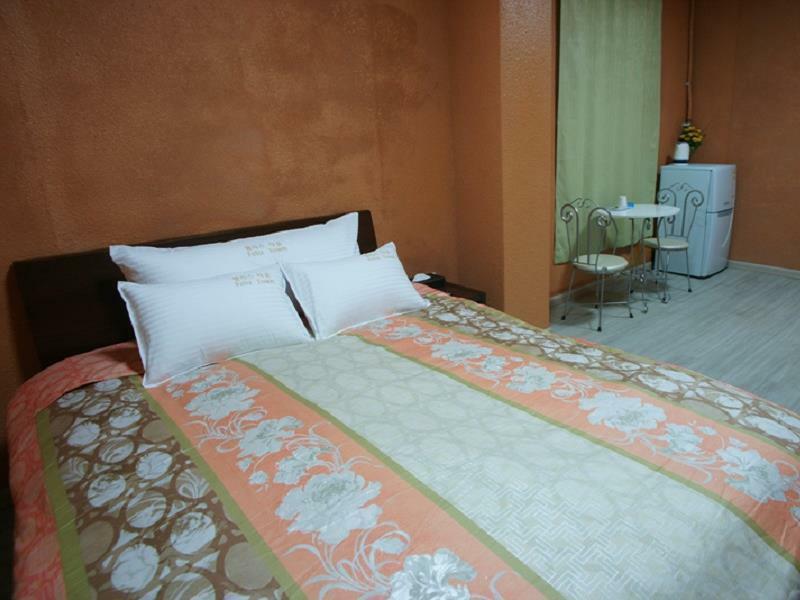 Nice cozy hotel, clean room, friendly staff, however the location is not easy to find, better to reach the hotel in day time as you can see it from the main road, near Four Graces hotel. Not so suitable for family with bulky luggage and elderly person as there is no elevator, only stairs. Face to the garden and can have a sea view. It is very nice to live in here, very beautiful and comfortable. You can see the sea far away from the balcony and the country side. The kitchen is provided everything you need. The place is suit for the people who driving a car, but be careful that you can't find the telephone no from the booking form, it's a bit hard to find the place without key in the phone no in the GPS. At last we ask some one to key in the address of the pension in the GPS and we fine the place at last! Very good service, owner provide transfer to nearby location, our main purpose to Jeju is to see sunrise at Seongsan, this hotel is in idea location, the owner even sent us to Seongsan for sunrise at 5am, will highly recommend to others as the owner can communicate in English, she provide very useful information and save a lot on my travelling time. From Jeju airport, take bus (100) stop at local bus terminal, transit to bus 700 to Seongwipo , stop at Seongsan Gymnasium, opposite of the main road, you can find a small road, walk about 150m, you can find the hotel. Even though the hotel location is out from the town, the hotel provide transfer. This hotel is extremely ideal if you're thinking of a trip to the sunrise peak. It is located about 10mins drive from the sunrise peak, so it allows you to wake up much later then if you were staying elsewhere further. our stay at Feliz Town was wonderful. The hotel was difficult to find, we realize that cab drivers in Korea have no clue in reading addresses but luckily the address can be found on the GPS (yes, we did encounter situations where addresses can't even be found on the GPS) and therefore we were able to reach the hotel without much troubles. The hotel was not located near any bus stops but the owner was kind enough to drop us to the bus stop and drove us to the sunrise peak early in the morning (5am). I seriously think she is the friendliest, most helpful and kindest host whom I have ever had the honour to meet. And nobody seem to recognize the hotel by the name, so please don't be so naive to think that you could just tell the taxi driver the name of the hotel and you would arrive at your destination (we did and ended up at nowhere! The location of the was overall good, near to Seongsan Ilchulbong Sunrise Peak, Seopjikoji, not too far away from Manjanggul Cave and very close to the harbour where you can take a short ferry to the Udo island. Location is a bit hard to find. But the room is very big and comfortable. Nice staff / onwer . She is skinner than me but still managed to help me carry luggage to upstair. ( I was tiring after cool weather hiking while raining ) i appreciate her help. Clean and comfortable. When you step into your room you feel like home. From the location (public transportation perspective) is not that good, but they were very kind and they drove us to the ferry to Udo island. I can definitely recommend this place if you want to spend your time around the area. We booked a private room and our stay was icredible. The bus stop is a bit far away, about 10-15min walking but the place is really nice. The owners are helpful and even drove us to the harbour and the sunrise peak. We recommend this place a lot, we were really happy. Hotel room was comfortable. The hotel itself was difficult to find, even the taxi driver had to call several times to find it. Rent a car from near Jeju airport if you're planning in staying in this area of the island. Enjoyed my one night stay in Feliz Town Hotel. The owner was very helpful to direct us to a nice bbq restaurant. She was very helpful to advise us the timings to set off the next day if we want to watch the sunrise. Driving with GPS was easy but the road leading towards the hotel was rather narrow if you enter from the right-side of the hotel. There's no lift and luckily we were staying on the second floor. Bedroom was cozy and nice, the only negative part was that there was no heater in the bathroom, it's extremely cold and awful to shower during winter despite showering in warm/hot water. Basic toiletries like towels, toothpaste, bath/shampoo soaps were provided. Parking is free. I went to Jeju with my fiance in Dec, we choose this hotel as our third day accommodation place is because is very close to the "PEAK", plus we only planned to stay there for one day. the bad thing is this hotel is located inside the country road, is not easy to find if you go there by walk, and there is no restaurants nearby, is always easy to take a taxi to go out but is hard to find one when you are trying to go out. But the best part is that the boss, is a very young nice lady, she will drive you out , she can also drive you to the bus station if you are leaving. if you are going there in the summer, and if you plan to stay there for over a week, and if you like cooking, then this place is a perfect place for you. location, nice owners, spacious room. The room has a heater but unfortunately it were extremely cold that day, it would have been better if the room and toilet could be warmer. The contact number given by agoda weren't accurate lucky we had the car rental company's staff to key in the address in gps for us. We arrived late where there was no more restaurant opened, the hotel owner were kind enough to drive us to the nearest convenience store to buy cup noodles. Thumbs up for their good service! Attentive staff who will offer free drop offs to nearby bus stops or restaurants. 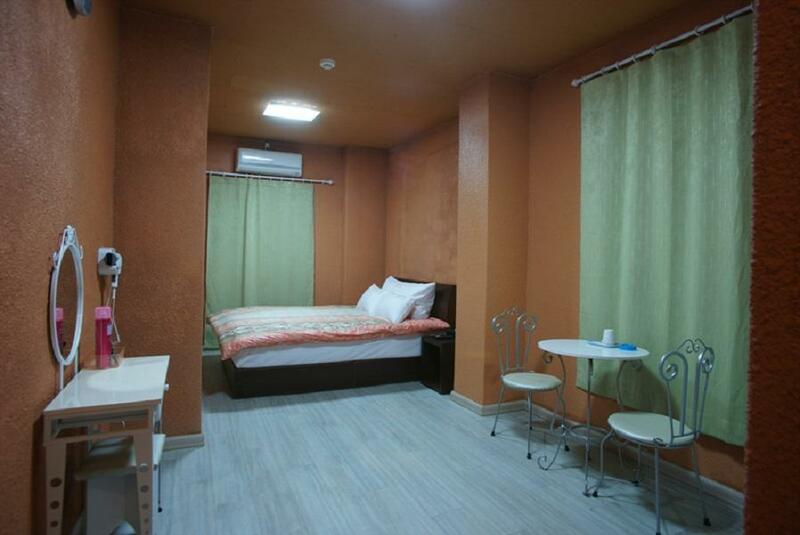 Comfortably large room for a budget hotel. Good free wifi and large television. The stay was comfortable. I stayed for two nights. Staff attentive when I arrived late at night all cold and hungry. Room had heated flooring. Location wise not the best. 20 minute walk to nearest restaurants. 8-10 minute walk to nearest bus stop. Staff do offer free drop offs at these locations. Bathroom takes getting used to. There is no bath tub or shower stall. There is a shower head above basin and toilet, so need to close toilet lid before use. Although the hotel is tucked away, it is still quite easy to find it with a GPS. Alternatively, the owners will be able to pick you up from certain locations if you arranged it with them. The hotel is managed by the owners and they were very attentive and friendly. Although we arrived late, they still waited for us at the office for our check-in. The rooms were large and comfortable. The surroundings is also very peaceful and quiet. Since we rented a car, there is no issue in looking for food since the restaurants are only a short drive away (map and recommendations also provided by the hotel). The hotel is also quite near to the Olle trail #1. When we decided to go hiking on the Olle trail, the owners were very kind to offer us free shuttle service to the start of trail. As, the hotel is also at a mid point of the hiking trail, we just walked all the way back to the hotel. Great n helpful owner. Close to two major attraction. Great n helpful owner. Provide good travelling info n introduce nice food nearby. Free ride to bus stop n eateries. Location is not the best. After all, jeju is far too big to travel by taking bus, thus need to spent quite bit on taking taxi if u do not want to waste the time on traveling. I will stay again next time if I were to go Jeju.